Your pantry will never be bare again! With our That's it. Master Pack, stock up today with 144 delicious fruit bars that feature six of our most popular flavors. 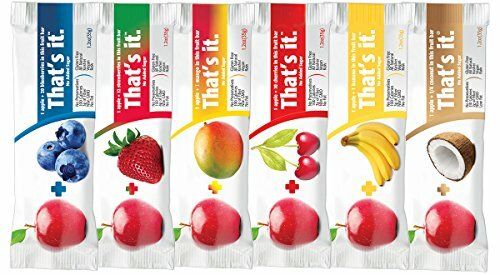 Each bar captures that delicious, sweet taste of fresh fruit all while being a healthy, on-the-go snack that everyone will love. Each bar contains two servings of fruit and contains no added sugar, no preservatives, no fat, and is Non-GMO. Whether you're buying them for your family or your friends at the office, there's something for everyone here in this little harvest. Stock up today and share the delicious treats of That's it. with everyone you know! All flavors in the Master Pack are 100% Paleo Certified by the Paleo Foundation. If you have any questions about this product by That's it., contact us by completing and submitting the form below. If you are looking for a specif part number, please include it with your message.